Those of who have been keeping up with this blog for a while will probably remember that Donna Tartt’s masterwork, The Secret History, is one of only a handful of books to get a five-star review. So needless to say, I was excited to get started on her latest bestseller (it’s been ten years since Secret History), The Goldfinch. It took me forever to finish, because life has been crazy – missed a train, got stranded in a Richmond bus station at four in the morning, my thesis is due in ten days, same old same old – but I just plowed through the last hundred and thirty pages and man, I have a lot of thoughts. 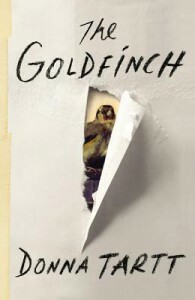 The Goldfinch is gripping right from the start: a thirteen-year-old boy’s mother is killed in an explosion at a New York museum, and in the ensuing confusion he accidentally steals a priceless painting of a little yellow bird. From there things go from bad to worse. Theo lives with a childhood friend for a while, and then is swept off to Las Vegas by his alcoholic, drug-addicted, gambling Dad. There he takes up with a ragged Third-Culture almost-orphan called Boris, who introduces him to the wide world of booze and drugs and desert. The first half of the book has an air of whimsical catastrophe about it almost reminiscent of Harry Potter. It reads like a fairy tale. Orphan boy, inescapable tragedy, mystic stolen painting. But as Theodore Decker grew up, I began to like him less and less. His father dies in a car accident and he leaves Boris behind and jets back to New York, where he installs himself with an oblivious but kindly antiques dealer called Hobie. Theo learns the tricks of the trade and spends the next ten years literally tricking rich people into buying bogus furniture, doing enough drugs to more than melt his brain and pining hopelessly for Hobie’s surrogate niece, Pippa. About halfway through the novel I realized it was no Secret History. Yes, it’s well-written, with all of Donna Tartt’s impeccable talent for description. That’s not where the problem is. The problem is with Theo’s lack of agency. 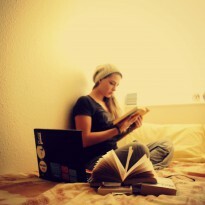 For the first three hundred pages we feel terribly for him because he can’t seem to get a break. Tragedy after tragedy. But after a while it starts to feel like a cheap trick – Tartt manipulating the reader’s emotions by ensuring that every bad thing that could possibly happen does happen. But when we stop liking Theo, it stops working. Theo as a boy is pitiable. He’s young, he’s overwhelmed, his life has been fragmented, bizarre and hard. But by the time he’s twenty-six and we’re five hundred pages along, it starts to feel like an endless pity party. Theo never does anything. He is a character to whom things happen. A passive narrator, in my opinion, is almost never a good idea – the exception being when the narrator is not the protagonist (i.e., the Sherlock Holmes/John Watson dynamic). Here, I think, is where Tartt missed the mark. Theo, frankly, is boring. It’s only when Boris shows up again around page 500 that the story is salvaged. Boris completely steals the show. He’s funny and peculiar and almost entirely devoid of recognizable morals, but because he is constantly making things happen - for good or for ill – he’s twice as likable as Theo. Boris is the real star of The Goldfinch, not Theo. How do we know this? Well, for the single most exciting part of the entire story, Theo is shut up in a hotel room in a drug-induced fever, and we, the readers, have to wait to hear about it from Boris when he shows up again after the fact. I think Donna Tartt secretly wanted to write a novel about Boris. She probably should have. All that being said, the story itself is interesting, and Tartt’s prose technically excellent. In the last hundred pages she’s prone to excessive philosophizing and throughout the whole book the series of tragedies is vastly overdone. When literally everything goes wrong, people (a) cease to be surprised by it and (b) cease to care. But there’s just enough momentum to keep the story readable and just enough humor to keep you from getting sick of the tragedy and deciding to end it all yourself. Would I recommend it? I don’t know. It’s an interesting read and Boris is priceless, but I think fans of The Secret History are bound to be disappointed. Still, if this had come from any other writer I would have been inclined to give it a higher rating. I’m disappointed mostly because I know what Donna Tartt’s really capable of. Two and half stars. Find it on Goodreads here.